Do you have closer pictures of how you put them together? Honestly, since it doesn't have the middle shelves, I'm thinking that there's hardly more floor space then a single one, especially since the shelves are so small. 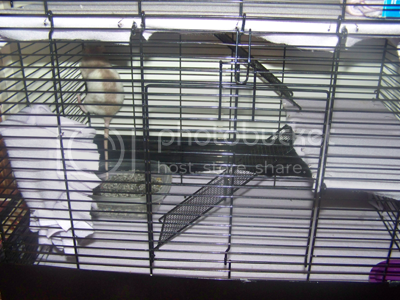 Maybe it would be more sturdy with a level going all the way across the cage? You could just make your own. 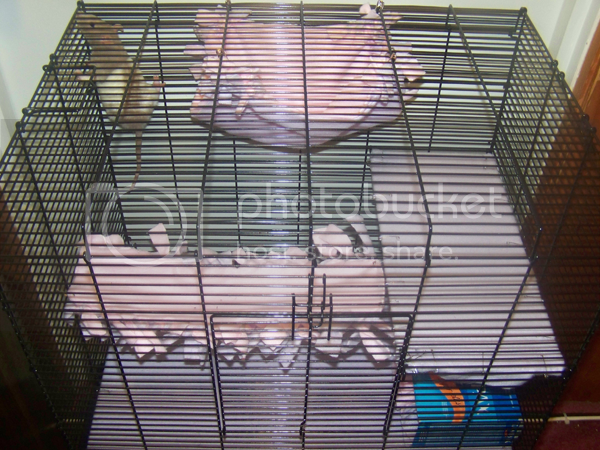 Owned by: 3 parrots, 1 dog, and 2 rats! Is there any way to just remove the top half of the side panel, like right above where the shelf would go? 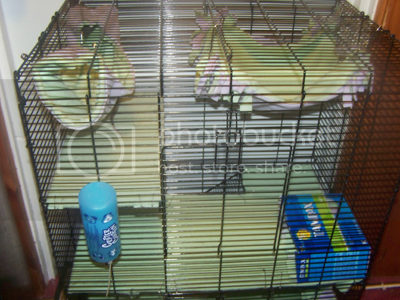 Then they could still go back and forth freely, but it would have the sturdiness and you'd keep your middle shelf, because frankly, without the middle shelf, it's just as bad as the SP for exotics in terms of actual floor space. Keep us posted on what the cage building guy suggests. 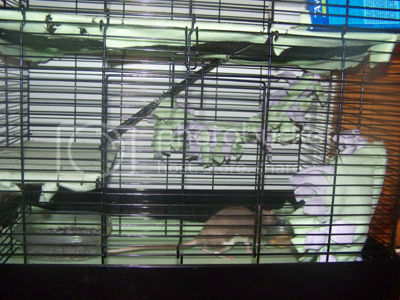 Owned by 3 dogs, 2 cats, 1 snake and 3 adorable rattie boys! 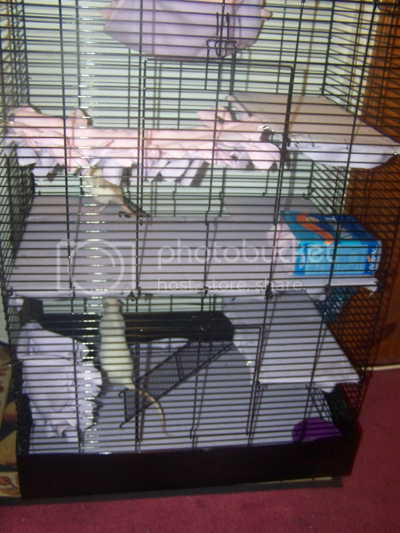 Im so jealous, I went to buy my two extra rat manors this last weekend, and they had raised the price 20.00, from 79.99 to 99.99, when I asked why, all they said was gas prices.. ugh.. so, Im just going to get an FN. My rats think you are gross too!! I'd probably go with the FN. The cages look great, but a fn would just be easier. that it is...but my girls still need a bit of growing to do..i dont want to bother modding if i dont have to...I got them on HT now instead of what I found out was crap so maybe theyll put on some weight and in a couple months these cages will be gone and Ill be ordering my FN....the 141 (the single one) its big enough for 4 girls and maybe a neutered boy right? Hahahah YES. My rats' newest favorite place to sleep is a little tampon box. 3 rats all snuggled together- it's adorable. same with rat tower. this is why i live in a house, not apartments. WHy not just have a small tunnel or rat sized door between the 2 and leave the rest of the walls and levels intact? The double FN does not take up any more floor space than the single. 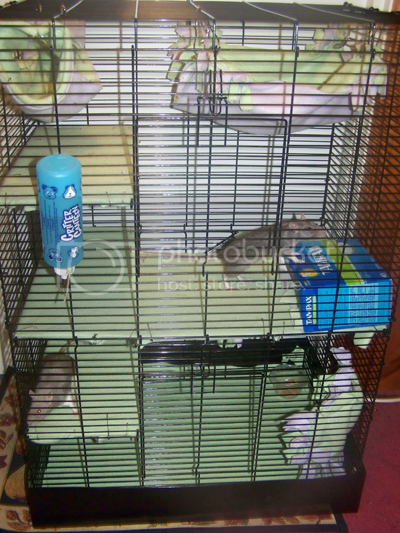 when we first got the 142 (double) we only had three ratties to put in so we used the top level for storage....loved it!! 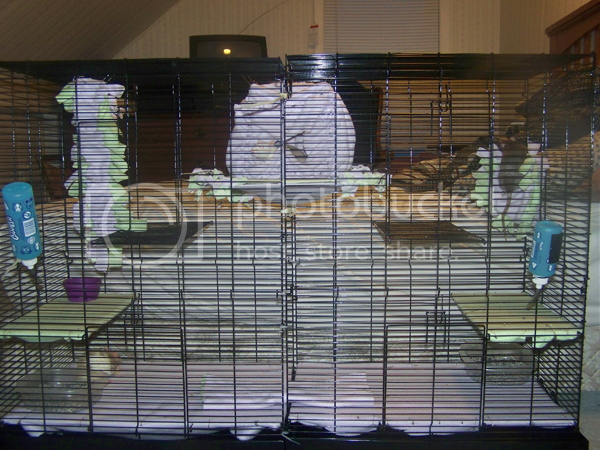 I would honestly get the double and use the top for storage for the rat supplies as I bet you have supplpies in a tub or closet or something anyway. That way you already have the 2nd level when you have more rats or more room.